It’s no secret that Colorado cities and towns offer some of the best neighborhoods in the country. And real estate is one of the best investments you can make. If you’re thinking about buying a home, there are a lot of things to consider, and it’s easy to become overwhelmed. Here are a few tips to keep in mind as you search for the right place for your family. Location, Location, Location. This is a cliche for a reason! Evaluate your family’s priorities as you consider where to settle down. A considerable benefit of living in a master planned community is the wide array of amenities and lifestyle options they provide. These neighborhoods promote a community atmosphere and provide a variety of recreation and exercise facilities, community events, and proximity to great schools. Meridian Ranch is located in Colorado Springs, recently ranked as the #1 most desirable place to live in the U.S.! Timeline. The timeline involved in buying a home may vary, so you will want to take this into consideration as you plan your family’s move. If you’re building a new home, confirm with the builder how much time you should expect the process to take. If you’d like to move sooner rather than later, builders often have quick move-in homes available. Typically in the final phases of construction, these homes are brand new and can be yours without the wait. View a list of quick move-in homes at Meridian Ranch here. Down Payment. A house is much more than a financial decision, but as one of the biggest investments you’ll ever make, it’s important to plan for the practical implications. 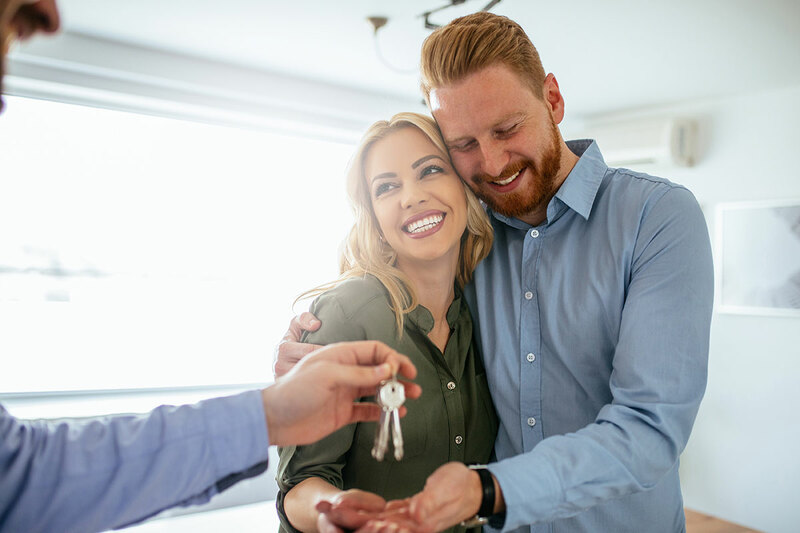 While some people choose not to put down a payment when buying their first house, others take advantage of this opportunity in order to finance a smaller amount, which can save significant amounts of money over time that would otherwise go towards interest. If you plan to make a down payment, start saving early; set aside money regularly in order to build up a solid nest egg. Maintenance Costs. There is the price tag on the home you buy, and then there is the amount that you will spend maintaining the home. Maintenance costs are often overlooked by first-time home buyers, but the reality is that any used home will come with its share of problems, whether it’s older appliances that will soon need to be replaced, wear-and-tear damage that must be repaired, new landscaping, new fencing . . . the list goes on. One of the biggest benefits to buying a new home is that you’re starting fresh with all new materials and appliances, and you’re not inheriting any problems. You also have peace of mind with a new home warranty that covers any issues for the first few months, or even years. You only have to budget for your mortgage—not surprise expenses along the way. Personalized Your Home. Buying a new home is the perfect opportunity to make it uniquely personalized to your tastes. While renovating a used home might be an option, you’ll find much more control and satisfaction in the process of building a new home. With new home construction, builders prioritize your lifestyle and preferences in order to create a space that is just right for your family. This allows you to not only select a layout that’s perfect, but also personalize the finishes. We hope these tips are helpful as you start the process of buying a new home. It’s a wonderful, rewarding journey and well worth the effort! What better place to find your home than Meridian Ranch? Located in beautiful Colorado Springs, Meridian Ranch offers quality homes at a variety of price levels, including The Vistas, Stonebridge, and The Estates. Find your new home here!